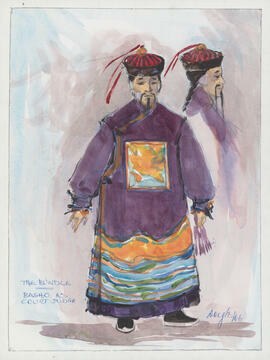 Item is a watercolour sketch of a costume design for Red Deer College's production of Edward Bond's The Bundle. 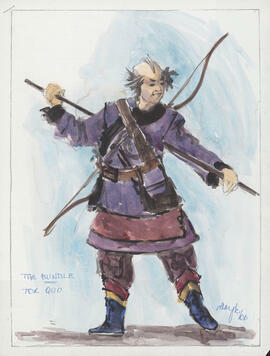 The costume is for a character named Tor Quo and the sketch shows a figure wearing the costume. 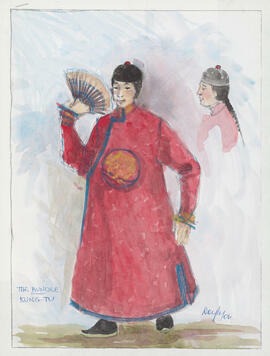 Item is a watercolour sketch of a costume design for Red Deer College's production of Edward Bond's The Bundle. 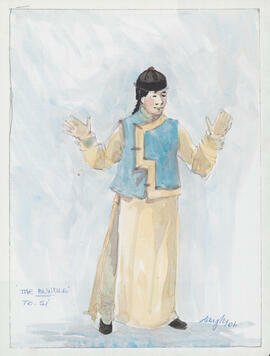 The costume is for a character named To-Si and the sketch shows a figure wearing he costume. 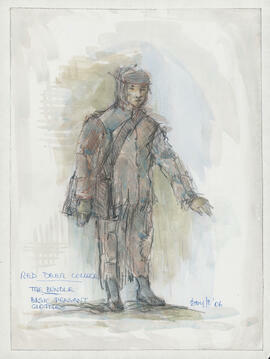 Item is a watercolour sketch of a costume design for Red Deer College's production of Edward Bond's The Bundle. 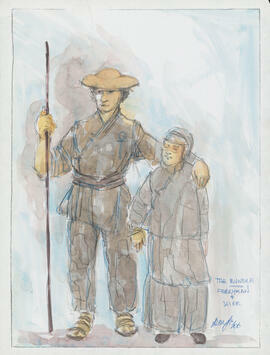 The costumes are for the ferryman and his wife. 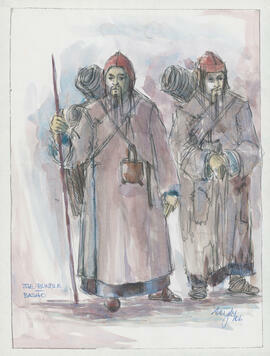 The sketch shows two figures wearing the costumes.